Will Hillary Clinton survive this e-mail scandal criminally and politically? It is tough for me to see how, given the revelation that she had retained on her private server e-mails containing classified information. This is all dripping out slowly – the worst possible thing for Hillary. Her trustworthiness rating in the polls is already Nixonian and it will only continue to drop as more information – or more stonewalling – comes to light. She complied with all regulations – false. She wasn’t subject to a subpoena for documents when she unilaterally disposed of over half of her e-mail as private — false. She didn’t send or receive classified information – false. The information in her e-mails wasn’t classified at the time it was sent – false. She didn’t send the classified information stored on her server, someone else did – meaningless. The information was not marked classified – meaningless. I’ve compiled a time line, below, and these facts tell the tale. Regardless of why Hillary set up a private server, there is no question that she used it to hide from lawful subpoenas and FOIA requests. She didn’t turn over a single document until it became clear that Trey Gowdy was being so persistent in forcing the issue that she had to. She had no right, under State Dept. regulations, to unilaterally decide what was and was not a government record, nor could she destroy records knowing that they would be part of an ongoing investigation. We know that some emails she received from Sydney Blumenthal were not provided in the documents she submitted to the State Department in December, 2014 claiming that they were a comprehensive production of all government records on her private server. Thus it is reasonable to assume that she in fact destroyed government records relevant to a subpoena. Hillary’s conduct amounts to obstruction of justice (18 USC 1519) and comes with a jail term of up to 20 years. To put this in perspective, the accounting firm of Arthur Anderson was put out of business by the DOJ in 1992 for obstruction of justice when it destroyed records relating to its accounting of ENRON. I would imagine that, criminally, the Obama DOJ, which is perhaps the most politicized in our nation’s history, would simply ignore Hillary’s obstruction if that is all there was. And given the complexity of the facts, most people would just tune it out. Clinton would do one of her well-practiced shameless squeals of victimized outrage, complain of a vast right wing conspiracy, and her minions would do the rest in the press and the Sunday morning shows. Obama’s DOJ certainly showed no rush to intercede in this matter, just as it already has countenanced obstruction of justice and destruction of government records from the IRS and Lois Lerner without any sort of criminal investigation. But obstructing justice is far from all. Hillary’s email scandal reached critical mass when the Inspector General for the Intelligence Community found classified information in four of forty documents Hillary Clinton produced from her private server. That is when this private e-mail travesty went from obstruction of justice to a threat to national security. And what we are seeing is the tip of the iceberg. The government takes little more seriously – among the peons at least – than maintaining the security of our classified information. People are prosecuted all of the time for mishandling classified information (18 USC 1924). By mishandling, that means that the defendant took control of and secured classified information in a place or manner that was not authorized. Notably, both David Petraeus and Sandy Berger were prosecuted for that offense. Hillary Clinton’s private server was not an authorized conduit or receptacle for any classified information. The presence of classified information on her private server would seem a clear violation of the applicable statute. A far more serious offense comes when you take classified information and destroy it or transfer it to other people not authorized to see it (18 USC 793). That carries a jail sentence of up to ten years per act and the standard of conduct is gross negligence. Under the Obama administration, Bradley Manning was convicted for violating this statute and jailed for 35 years. State Dept. contractor Stephen Kim was given 13 months for discussing arguably non-classified information with Fox News’ James Risen. Former CIA officer Jefferey Sterling was recently sentenced to 42 months in prison while former CIA officer John Kiriakou served 30 months, both for providing classified information to a party not entitled to see it. The IT company Hillary hired to control her server beginning in 2013, River Platte, has no security clearance. Neither do any of the attorneys Hillary tasked with reviewing all of her e-mails and selecting those that she was willing to produce to the State Dept. on December 5, 2014. Those would appear to be clear violations of the statute at issue. How many more of the 30,490 emails contain classified information? We are at four out of forty at this point. At some point, these documents will be evaluated by the IG for the Intelligence Community. Who precisely has had access to Hillary’s server and e-mails because of her “gross negligence?” What are their security clearances, if any? Are the 31,000 “personal” documents Hillary claims to have wiped clean from her server backed up on any other medium. This is very unclear. River Platte claims that it transferred all data on Hillary’s server to one or more servers in 2013, then wiped her original server clean. The FBI has taken control of the original server. Where did River Platte transfer the data and where is it today? What about backups and archives? If Hillary’s emails were sanitized and 31,000 emails wiped clean, who precisely did the document review and what criteria were they instructed to follow? When did they do it? What are the actual contents of the 31,000 emails Hillary erased? How much damage has Hillary done to our national security? None of the answers to the above questions bodes well for Hillary. This is not the typical Clinton scandal. It is not Travelgate, White Water, the Rose Law Firm, Vince Foster, nor Monica Lewinsky and the bimbo eruptions. This isn’t even about Benghazi now. And as the fact pattern below suggests, this is on a trajectory to get far worse for Hillary in the coming months. I don’t think she survives this. What say you? For an explanation of our graded classification system for classified information, see this article from the Daily Beast. For a primer on how people with a security clearance are trained to treat classified information, see this article from NRO. For an overview of the nascent DOJ investigation, see this from Charles Lipson at RCP. 18 USC 793 – Gathering, transmitting or losing defense information. Felony with fines and imprisonment up to ten years. 18 USC 1924 – Unauthorized removal and retention of classified documents or material. Misdemeanor with fines and imprisonment up to one year. 18 USC 1519 – Destruction, alteration, or falsification of records in Federal investigations and bankruptcy. Felony with fines and imprisonment up to 20 years. 13 January 2009 – (CW) Hillary registers clintonemail.com. 21 January 2009 – (RT) Hillary sworn in as Secretary of State and immediately begins use of her private e-mail system to conduct all her duties as Secretary. For the first three months Hillary served as Secretary of State, her private email server had virtually no security. It was not encrypted. 29 March 2009 – (Wired) Hillary finally begins to use run-of-the-mill, commercially available security on her system. This decision to use a private e-mail server and commercial security left her highly vulnerable to hacking. We may well never know if or how often her e-mail was hacked by individuals or foreign agencies. 20 Sept. 2012 – (Wash. Ex.) The House sends a document request to Sec. of State Clinton requesting all documents relating to Benghazi, putting Clinton on formal notice for the purpose of federal law governing Obstruction of Justice that the House “contemplated” investigating the Benghazi incident. The State Dept. responded to this request by producing some responsive documents, but did not produce any of Hillary’s e-mails. 1 August 2013 – (Wash Ex) The House issues two subpoenas to the State Department, one for documents the House had requested but the State Dept. still had not produced, and a second for documents related to Secretary Clinton’s internal, self-exonerating State Department investigation, known as the Accountability Review Board. 17 April 2014 – (Wash Ex) The State Dept. completes its production of documents allegedly responsive to the House subpoenas. None of the documents include e-mails by Hillary. 8 May 2014 – (Wash Ex) A new House Select Committee is formed under Trey Gowdy to investigate the Benghazi incident. Gowdy attempts to “reset” relations with the State Dept and asks them to comply fully with prior subpoenas. 11 Aug. 2014 – (Wash Ex) The State Dept. produces documents to the House. The production includes approximately ten emails to or from Hillary showing her private email address. This is the first time the House becomes aware that Hillary was conducting her duties as Sec. of State using a private e-mail account. Gowdy’s committee against presses the State Dept. to comply with the subpoenas. October 2014 – (Wash Ex) The State Dept. formally requests that Hillary provide all government records still in her possession, including e-mails. It does so in response to pressure from the House. In order to make this seem as if it is in the normal course of business, it sends out similar requests to the previous three Secretaries of State. 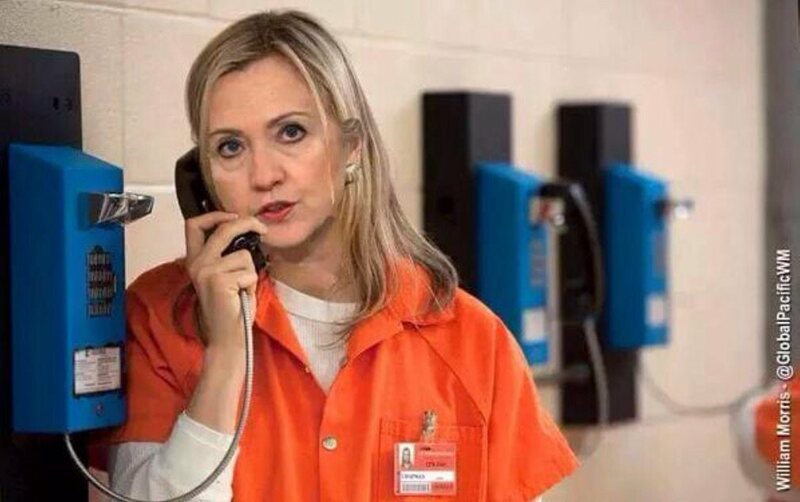 Late 2014 – (LI) According to documents Hillary’s lawyer filed in federal court, Hillary Clinton directed her lawyer to review the e-mails on her server in order to provide all “federal records” to the State Department. Her lawyer has no security clearance. 18 November 2014 — (Wash Ex) The House sends another request to the State Department asking for emails to and from Clinton relating to the Libya attack. This time, committee staffers include instructions specifically demanding emails that were sent or received on any @clintonemail.com account. 2 December 2014 – (Wash Ex) The House sends a letter to Clinton’s attorney asking for all emails to or from clintonemail.com that relate in any way to Libya. Clinton’s attorney would later respond by directing the House to to the State Dept’s previous production. Dec. 5, 2014 – (LI) Clinton’s attorney delivers to the State Dept. 30,490 e-mails hard copied onto 55,000 pages, claiming those to be the sum total of all federal records in Hillary’s possession. He retains thumb drives with those e-mails in their electronic form. 2 March 2015 – (NYT) The NYT breaks the story about Clinton’s use of a private e-mail system to conduct her duties as Sec. of State. 4 March 2015 – (Fox) Trey Gowdy issues a subpoena directly to Clinton demanding responsive e-mails on her private server. 7 March 2015 – (Daily Caller) It becomes apparent that the State Dept. intentionally mishandled Numerous Freedom of Information Act (FOIA) Requests going back to 2012, all of which should have elicited emails from Hillary’s private email. These requestse included one in in 2012 that specifically asked the State Dept. to identify all email accounts Hillary used to conduct her State Dept. duties. 19 March 2015 — (Pdf) Congressman Trey Gowdy, in a letter to David Kendell, Hillary’s lawyer, all but accuses Hillary and her team of being dishonest by omission in regards to Hillary’s emails. Moreover, Gowdy notes that the emails that Hillary had already produced show a significant gap in time around the Benghazi disaster. Gowdy asks Hillary’s attorney to agree to give Hillary’s private server to the State Dept.’s IG or a neutral third-party so that all of her emails can be reviewed for compliance with the latest and prior subpoenas. 15 June 2015 – (Politico) Responding to a subpoena, the State Dept. produces documents to the Benghazi Select Committee. The production does not include at least 60 e-mails Sydney Blumenthal sent Hillary at her private e-mail address discussing national security and foreign policy matters. It appears that they are among the ones Hillary never turned over and subsequently destroyed. 7 July 2015 – (Youtube) Hillary gives her first, and to date only, national interview. She states that all the questions and accusations about her email are a vast right wing conspiracy. She further claims that the House never subpoenaed her documents and that she had no legal obligation to provide her e-mails to the State Dept., adding that they all would have been captured when she sent the e-mails to .gov addresses. 8 July 2015 – (Hugh Hewitt) Trey Gowdy appears on Hugh Hewitt’s radio show to point out that Hillary’s documents have been under multiple subpoenas since 2013, with the most recent directly addressing her private e-mail account served on her attorney on 4 March 2015. 31 July 2015 – (Powerline) It is revealed in Court for the first time that Hillary’s two closest associates at the State Dept., her “special assistant” Huma Abedin and her Chief of Staff Cheryl Mills, also maintained their work email addresses on clintonemail.com, thus shielding their emails from production just like Hillary’s. Hillary later certifies that only Huma Abedin maintained such an email address. 1 Aug. 2015 – (Politico) Approximately 30 Freedom of Information Act (FOIA) lawsuits seeking documents that would have been kept on the clintonemail.com server are ongoing or have been reopened following revelations about Hillary’s private server. On 1 Aug, Fed. Dist. Ct. Judge Emmet Sullivan asked the State Dept. to have Hillary, Huma Abedin, and Cheryl Mills each certify under oath, subject to penalty of perjury, that they have produced all responsive documents. 11 August 2015 – (Fox) Charles McCullough, Inspector General for the Intelligence Community, informs Congress that, of the 40 random e-mails the State Dept. provided to him for review, four contained classified information from five different intelligence agencies. Two of those e-mails contained information classified Top Secret at the time of its production. Further, the Top Secret information in one of the e-mails consisted in part of “operational and geospatial intelligence from the CIA and the National Geospatial-Intelligence Agency (NGA), which produces satellite images.” He has been denied further access to any of Hillary’s documents. The State Dept. is currently producing tranches of documents that Hillary turned over to the State Dept. on 5 Dec. 2014, some with significant redactions. It is unknown as to whether these redactions hide classified information relating to national security or foreign policy. 11 August 2015 – (Breitbart) Hillary makes a partially non-responsive declaration under oath to Judge Sullivan, stating in part that she does not understand what documents are required in this law suit. Further, she states that Cheryl Mills did not have an email account on clintonemail.com but that Huma Abedin did. Neither Mills nor Abedin submitted a declaration under oath. 11 August 2015 – (Clinton Campaign / and see Ron Fournier’s response at National Journal) Hillary’s campaign issues an op-ed length series of talking points, recycling some of her old defenses along with a few new ones. One, they claim that any classified information on Hillary’s server was not marked as such at the time. That is a red herring as it is meaningless to the statutes at issue. Two, while they admit to an investigation of the classified information on the server, they claim that it is not an investigation of Hillary. As Jonah Goldberg points out at NRO, that is like saying you’re investigating a car in a hit and run accident but not the driver. 12 Aug 2015 – (WND) The State Dept. refuses to turn over any further of the 30,460 emails produced by Clinton to the IG for the Intelligence Community. 14 August 2015 – (McClatchy) According to an analysis of 6,000+ documents released to date, at least 86 influential private citizens and foreign leaders corresponded with Hillary on her personal email. It is noteworthy that none of those emails would otherwise have been captured by the State Dept. for their records absent voluntary production by Hillary. 14 August 2015 – (McClatchy) The FBI and the House Homeland Security Committee have both begun investigating Platte River Communications, including such interesting as (1) whether they were authorized to handle classified communications (per today’s DC, linked earlier, they are not), (2) who would have been able to access information on the server, and (3) whether and how they backed up Hillary’s server. 14 August 2015 – (Legal Insurrection) The State Dept. files a response to Judge Sullivan’s Order, stating that they do not intend to search Hillary’s private server for responsive documents to a FOIA request, claiming (1) that they are under no legal compulsion to search for documents not under their control and (2) that Hillary’s certified claim that she already produced all government records in her possession obviates the need for them to act.